Argentina, a team that looked like it had no chance of moving on from the group stage of the 2018 FIFA World Cup, is back from the dead after securing a late 2-1 win over Nigeria, combined with a Croatia win over Iceland. Thanks to the two results, the South American giants finish second in Group D in what Lionel Messi and Argentina fans will remember as a small miracle. 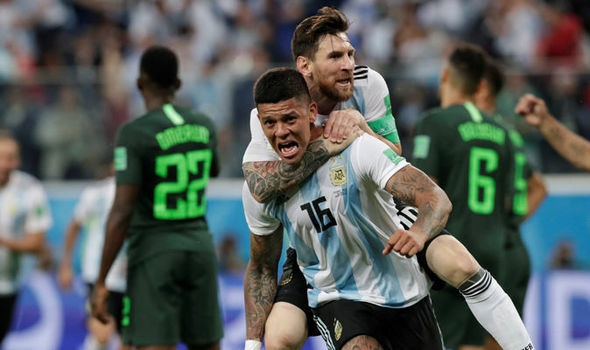 It wasn't a sharp showing from Argentina in a tournament where it has been very poor, but the team overcome a penalty kick equalizer from Nigeria to get a late winner from Marcos Rojo. Absolutely stunning. Three points on the last matchday to put Argentina through to the knockout stage. A round of 16 matchup against France on Saturday is next for Jorge Sampaoli's men. The loss sends Nigeria, and its amazing kits, home.